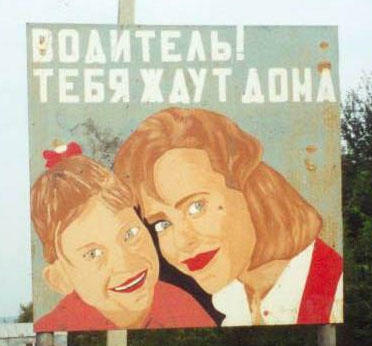 Social advertising, Russia. Copy: "Driver! They are waiting for you at home."